Michael is the Finance and Business Development Director of Advance Healthcare responsible for the financial, marketing and expansion aspects of the business. Michael is also the Team Leader of the St Albans, Hoppers Crossing and Geelong multi-disciplinary Pain Management programs (WorkSafe & TAC's preferred provider of Pain Management services). As part of this role Michael oversees a Team of Pain Physicians, Psychologists and Physiotherapists in a comprehensive rehabilitation program for patients with complex chronic pain. Malcolm joined the team in 2012 and brings high level knowledge, experience and skills in the management of acute, sub-acute and chronic conditions including injuries and traumas as well as complex persistent pain. He trained at Monash University in 1989 and graduated with honours before doing further postgraduate training in various disciplines, both locally and abroad. He provides medical services as an Occupational and Environmental Medicine Consultant and specialises in Workcover / TAC / RTW. He has a special interest in medico-legal practitioner cases and workplace injuries in his role as an Acute Injury Management Specialist (AIMS). He also consults as one of the Pain Management Program and Rehabilitation Program Physicians for Advance Healthcare. Malcolm also does extensive work in various tertiary, base and peripheral hospital Emergency Departments as an Accident and Emergency & Trauma Medicine VMO, with his experience in over 40 hospitals around Australia, and performs Emergency Retrieval Services for several institutions. His past and present appointments include Expert Witness code for Victorian and South Australian Law courts, teaching and lecturing at University of Singapore and SGH / Raffles Hospital in his capacity as Associate Professor and Research Fellow. He has added interest in Preventative Medicine and Health Promotion and is assisting the development and implementation of such colleges in South East Asia, for the betterment of future medicine in third world and developing countries. Outside medicine, he has a keen interest and participation in co-curricular activities including Life Surfing Torquay, Canadian Swim Team, Squash Racquets Association of Malaysia, cultures & arts, political history, interior design architecture, travel and epicure. Malcolm describes himself as competent, diligent, caring and approachable, and down to earth and believes a good sense of humour is the best medicine of all. Has spent 12 years working as a psychologist in hospital and private practice settings. This has included assessing and treating patients, managing and supervising multi-disciplinary teams, developing and delivering training and providing consultancy services. Has strong clinical skills in a range of areas with a particular interest in: chronic pain conditions, stress conditions, workplace injuries (physical and stress related), returning to work after a workplace injury (physical or stress related). Daniel has been working with our group for over 5 years and during that time has rapidly learnt high level skills in areas such as functional restoration, pain management, clinical pilates, musculoskeletal dry needling and the McKenzie method. He currently acts as a primary physiotherapy contact for Coburg Districts Football Club. Daniel speaks fluent Italian. David is a Clinical Psychologist who has been practicing since 2007. He has wide experience working in many different psychological settings including hospitals, community settings, corporate psychological organisations and general as well as clinical private practices. David has experience setting up and managing mental health and health related programs in Melbourne and Sydney and consequently is experienced working with individuals with a wide range of psychological presentations. He uses evidence based approaches to psychological treatment and is trained in CBT, ACT, Schema and DBT related therapies. David has completed numerous university degrees including a Bachelor of Teaching, a Masters in Psychology (Counselling) and a Doctorate in Psychology (Clinical). David has completed 3 post graduate theses investigating different topics including personality traits and drug/alcohol motivation. David’s doctoral thesis focused on the complex relationships between various psychosocial variables and their association with chronic pain. Nathan graduated from the University of Melbourne in 2010 and commenced working in private practices in the Northern and Western suburbs of Melbourne, treating a range of acute and persistent injuries across all demographics. Following this Nathan moved into Occupational Rehabilitation where he helped injured workers to achieve their optimal functional and work capacity. Nathan joined the multidisciplinary team in July 2018 and practices at the Bundoora and St Albans locations. Nathan has a passion for persistent pain rehabilitation and holistic patient care, and is a keen reader of up-to-date current evidence-based practice and research. Nathan believes in Physiotherapy being education-based first and foremost. Nathan is also a keen sports lover, runner and member of the Australian Physiotherapy Association. Garth is a Registered Psychologist. He holds a Bachelor of Psychological Science with Honours and a Masters of Counselling Psychology. Having worked in universities, pain rehabilitation, and crisis support, Garth is experienced in providing psychological treatment and counselling support to a diverse range of clients for chronic pain conditions, depression, anxiety disorders, adjustment to life changes, and returning to work/study. Garth enjoys working collaboratively with clients to reduce distress, increase resilience, work toward valued goals, and improve overall life satisfaction. 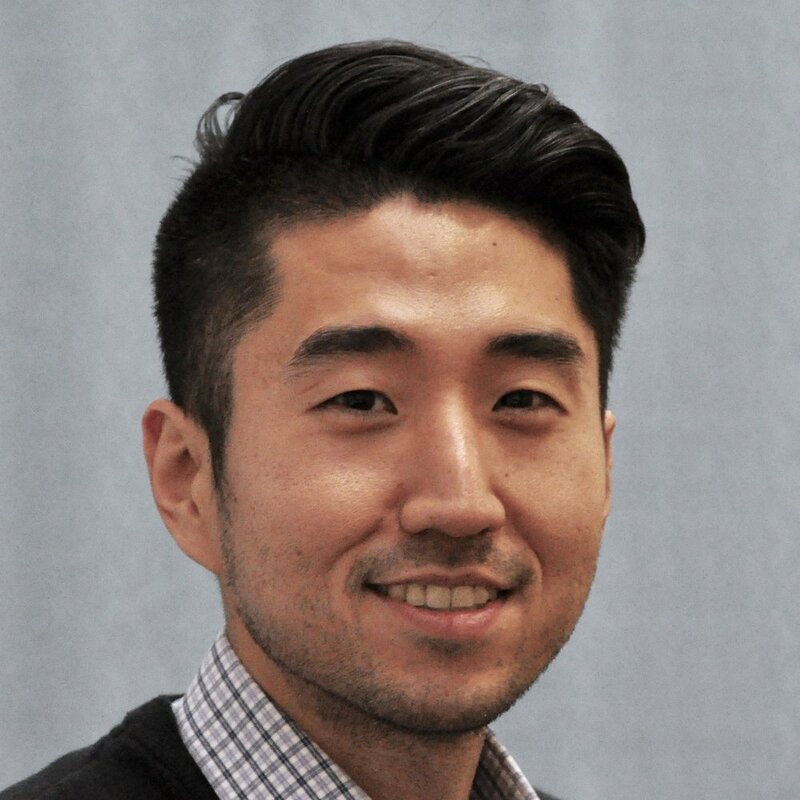 Joon completed his Clinical Psychology training in New Zealand and has wide-ranging experience working in Health, Forensic, and Community settings across a number of different population groups. This has involved clinical roles in assessment and therapy, both as a lead clinician and as part of a wider multi-disciplinary team. Joon has a strong adherence to evidence-based practice in psychological assessment and treatment, based on a firm grounding in Cognitive-Behavioural Therapy (CBT). Joon prioritises client engagement with strong interpersonal skills, guided by an underlying commitment to responsive and empathic practice. Joanna is a registered psychologist and has experience working in hospital settings as well as in private practice. Joanna has an interest in persistent pain and adjustment issues, and uses a variety of evidence based therapies to help her clients achieve their therapy goals. Therapy modalities may include Cognitive Behaviour Therapy (CBT), Acceptance and Commitment Therapy (ACT), Motivational Interviewing (MI), Schema Therapy, and Dialectical Behaviour Therapy (DBT). Joanna has sound clinical skills in the assessment and treatment of a variety of concerns, including mood and anxiety disorders, adjustment disorder, pain, trauma, grief, and personality disorder. Joanna has a warm and empathetic style and strives to provide clients with a safe and non-judgemental space in which to explore their thoughts and concerns. Mathew became a qualified physiotherapist after completing his undergraduate studies in 2011 and has worked in private practice in Melbourne treating a variety of musculoskeletal and sports injury conditions since then. Mathew Completed post graduate studies in musculoskeletal physiotherapy in 2016 and has developed a keen interest in the evidence based treatment of low back pain, neck pain and headaches. Mathew began working with Advance healthcare in March 2017 and is part of Advance Health Care’s multidisciplinary pain management teams in Hoppers Crossing and St Albans. Mathew’s interests outside of Physiotherapy include Aussie rules Football and cricket. Greg graduated with a Bachelor of Physiotherapy from Otago University in 2005. He then completed his Master’s degree in 2011. He has experience working in private practice in New Zealand as well as working at the School of Physio Clinics at Otago University. Here he maintained a clinical case load as well as supervising physiotherapy students on their clinic placements. Greg has worked with a variety of sports teams including being the team physio for the Otago Volts Cricket team who attended the champion’s league tournament in India in 2009. He has also worked with the Otago Nuggets NZ NBL Basketball team and Otago representative rugby teams. During the last few years Greg has developed an interest in pain management which is an area he is involved in at the St Albans and Hoppers Crossing clinics. Melinda has always been intrigued by the mind-body connection. This curiosity led her to complete a Bachelor of Behavioural Neuroscience and a Master of Clinical Psychology. Melinda is a registered Clinical psychologist and has experience in hospital, EAP, corporate and private practice settings. Melinda’s clinical approach is one of collaboration and compassion; she enjoys working with clients to achieve their goals so they can go on to lead rich and fulfilling lives. She draws on cognitive behavioural therapy, acceptance and commitment therapy and humour in her practice. Melinda has a keen interest in pain management, sleep and anxiety concerns.